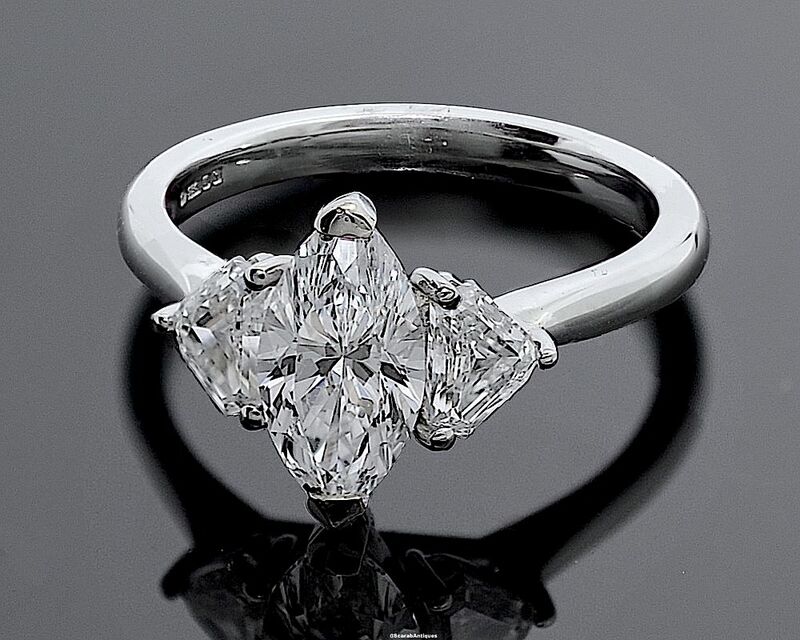 This is an unusual but very effective 3 stone diamond ring with a clever combination of shapes of diamonds. In the centre of the platinum ring is a marquise shaped diamond with a trap cut diamond set on each shoulder. Elegant and simple.